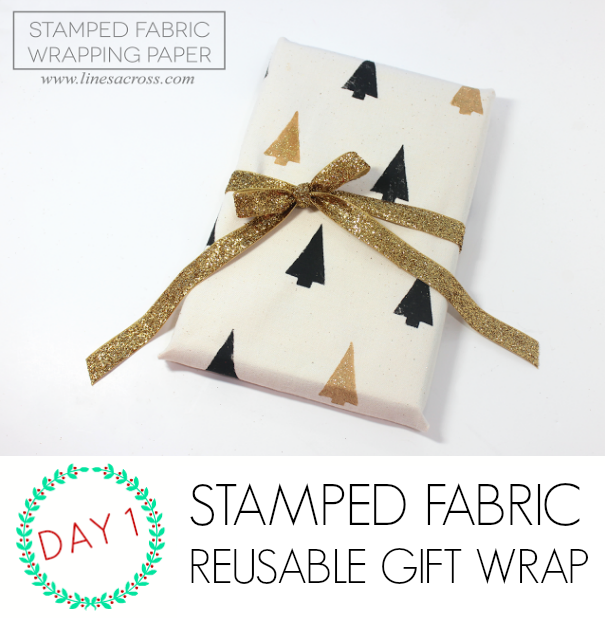 Wrap it Up #2: Stamped fabric reusable gift wrap - C.R.A.F.T. It’s time for the 2nd post of the day! That’s right baby, the Wrap it Up series here on C.R.A.F.T. 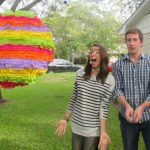 is chock full of awesome diy gift wrap ideas with 2 posts a day for 5 days! 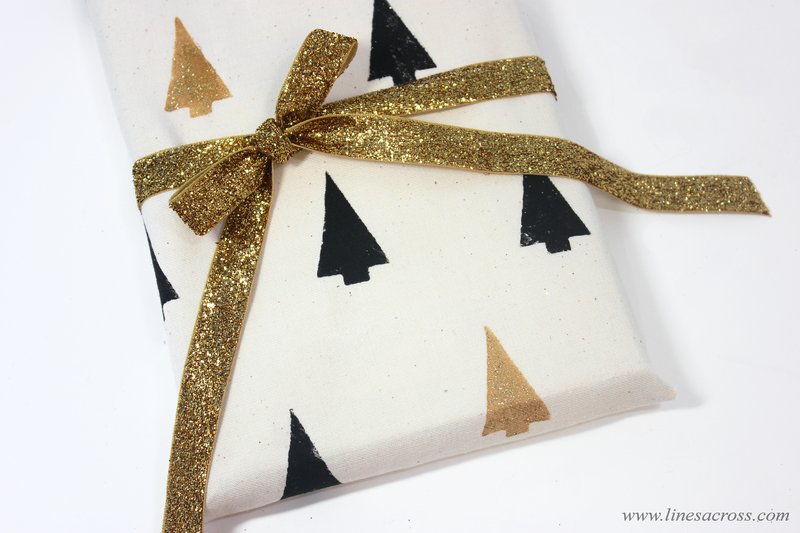 Did you check out my dish towel and washi tape wrapping paper idea yet? 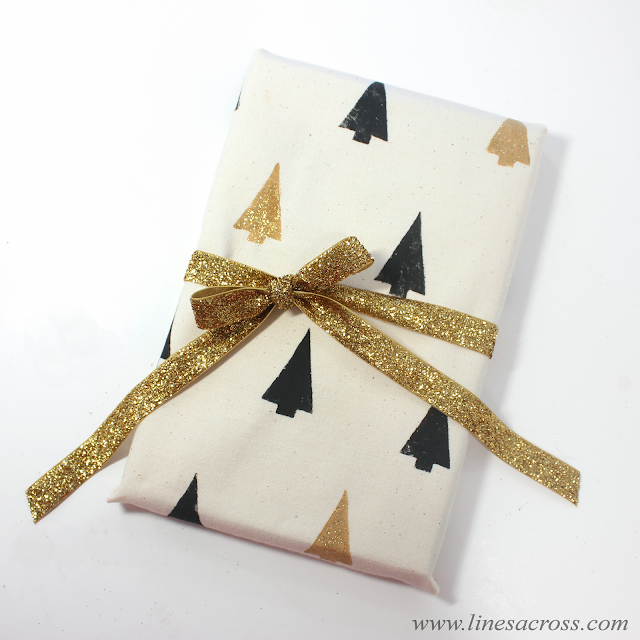 You’re going to love this reusable fabric gift wrap that you can use again and again! Hi C.R.A.F.T. 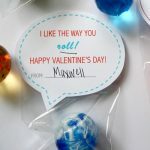 readers, I’m Rachel from Lines Across, and I’m thrilled to be sharing a fun and unique wrapping idea with you today. I hate how much paper gets thrown out each year at Christmas, and I really love that this wrapping paper is reusable (or a gift in itself if the recipient is crafty). I also wanted to create my own look using craft foam and wood block stamps. You may have noticed that the pattern I used is very similar to the free Christmas iPhone wallpaper I shared last week. The tutorial for this is pretty simple and straightforward. I shared a tutorial last year for making your own stamps, which you might find useful. All you need to make the stamps is craft foam, a wooden block (you know how you save all those scraps of wood? ), scissors, and glue. You will also need fabric and acrylic paint. You could download a template or use pre cut foam shapes, if you’re worried about your sketching skills. I experimented with a few different shapes of Christmas trees, but settled on the simple triangular one. It doesn’t need to be perfect. In fact, one of the beautiful things about this kind of stamping is the unique and handmade look. Simply attach your foam shape to the wooden block. I used super glue because I didn’t want to wait for it to dry. I had a pattern in mind, but I didn’t sketch it out. I wanted mostly black trees, with one gold tree randomly on each row. I found that the best way to stamp is to dab the paint onto the stamp with a brush or a sponge, and then stamp onto your fabric. Your trees don’t need to be (and really shouldn’t be) perfect, but you want to be careful to not have extra paint splattered on the fabric. Just make sure before you stamp that there is only paint on the foam, and none on the wood. I was a little worried it would be difficult to nicely wrap a gift with fabric, but it really was very easy. I’m not sure how well it would work with an odd shaped gift, but it worked very well when wrapping this book. I wrapped the book just like I would a regular gift, using a little tape to secure it. Tying ribbons around the gift also helps keep the fabric secure, and I’m not sure how well the tape would hold over time without at least one ribbon. I tried out a few different looks with different ribbons. This fabric wrapping paper can be used over and over again each year, and maybe even gifted from one person to another many times. The recipient could also use the unique stamped fabric you made them in a craft or sewing project. I love it when gift tags and wrapping paper are gifts in themselves. I love how my pattern turned out, I’m considering making more and framing it. 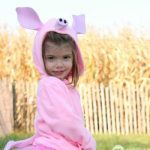 What would you make with the fabric? Thanks Jamie for having me be a part of this fun series! 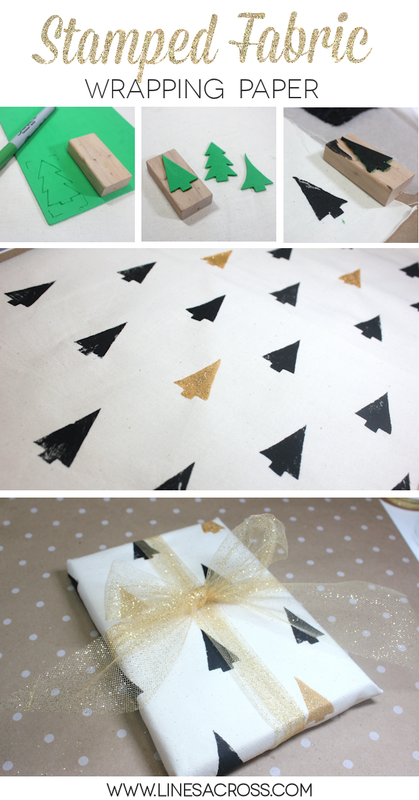 Be sure to stop by Lines Across for more gift wrapping tutorials, like these fun little gift boxes. Click on an image to visit the tutorial and print the free templates. Psst… Here are 11 more creative, ways to wrap gifts with this you have on hand! I love this! My kiddo has been opening presents on vacation and I think he wants me to wrap every book before nap time – this would be a great way to appease him and not be so wasteful! Hope everything is going well in the baby-baking department! Have a great rest of the week! Baby baking going well 🙂 The bump is finally visible! I love everything about this! I love that the gift wrap is customized and reusable and that you made your own stamp! How awesome! This is such a great idea- it looks beautiful and isn’t wasteful! What a great idea. Thanks for sharing with us at Throwback Thursday. Hope to see you again this week. 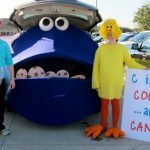 I Create Really Awesome Free Things for your home, wardrobe, kitchen, and kids in Austin, TX with the sometimes help of Andy!